USB 3.0 technology is by far superior than USB 2.0. 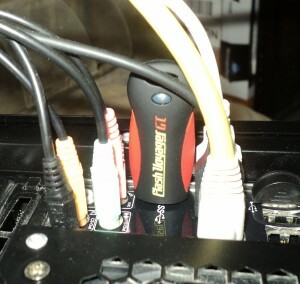 The only problem is that there are few items on the market that currently support USB 3.0. 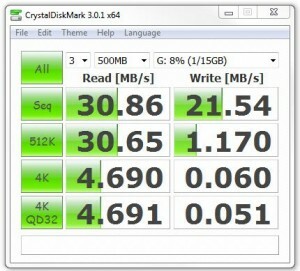 Luckily Corsair makes a great USB 3.0 flash drive, the Voyager GT USB 3.0. In this review we will talk about the appearance of the drive, the size of the drive, as well as the most important factor, the speed of the drive. First of all, this drive is actually fairly priced. A USB 3.0 16GB Voyager is about $30 on Amazon.com at the time of this writing. On top of the great price, it comes with a FIVE year warranty which I actually had to use. I had a previous standard USB 3.0 Voyager and I didn’t safely remove while it was accessing and I ended up corrupting the drive. Within a couple of weeks Corsair sent we a replacement and they even upgraded me to the GT for my troubles! This thing just looks cool. It has a nice red and black shell with a blue activity LED. It also has a spot where you can attach a keyring. The cap is removable and after some use it starts to get a little loose but it still stays on nicely. The overall size of the Flash Voyager GT is not that much larger than your standard flash drive.Below is a picture comparing it to some of my other flash drives. 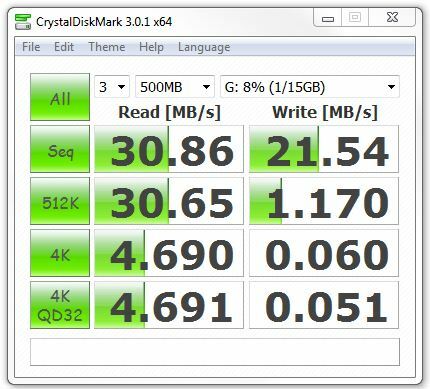 To test the speed of this flash drive I used Crystal Disk Mark and I tested it twice. Once in a standard USB 2.0 port and then once again in a 3.0 port. 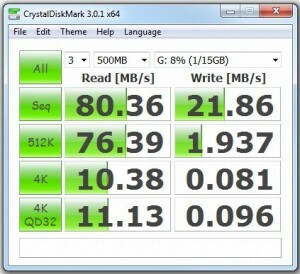 As you can see, the drive perform well, in my opinion in the USB 3.0 port. 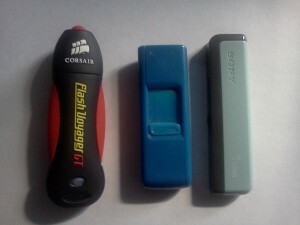 And it still does better than most flash drives in a regular 2.0 port. Overall – I love this drive! It’s fast, looks cool, and well – its fast!